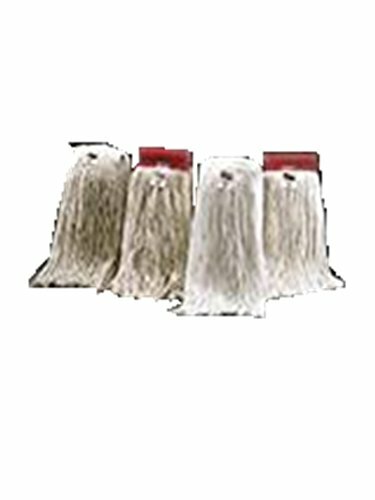 Economical 4 Ply Cotton Blend Mop Head With A 1 Inch Poly Headband. Straight Style Construction. Individually Bagged For Cleanliness And Ease Of Handling. 12 Per Caselarge Size : 1 Inch Headband Color : White Yarn. M2 Professional Micro PET Eco-Series Synthetic Large Looped-End Mop Replacement Head, 1.5" Headband - Case of 12 - For Industrial, Commercial & Home use, Hardwood, tile, etc.